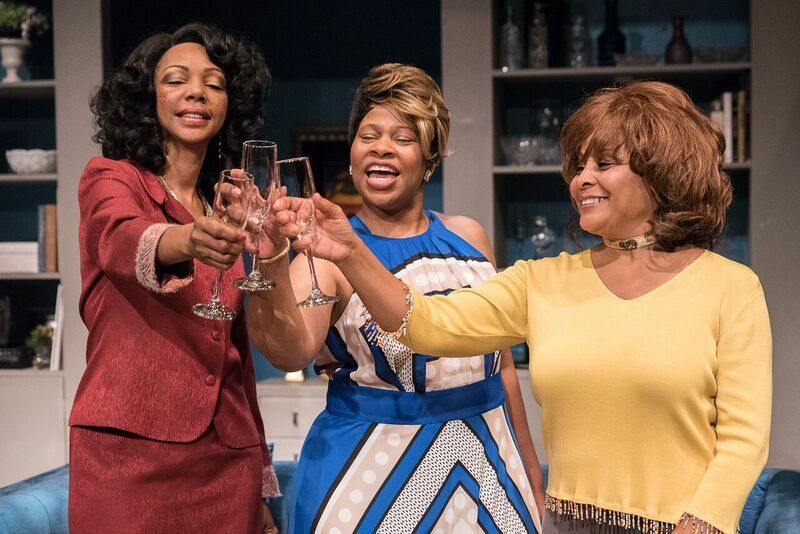 Who/What: The Ensemble Theatre kicks of its 40th anniversary season celebration with Sassy Mamas, by Celeste Bedford Walker and directed by Eileen J. Morris, Opening Night and Media Reception Thursday, September 22, 2016, 6:30p.m. 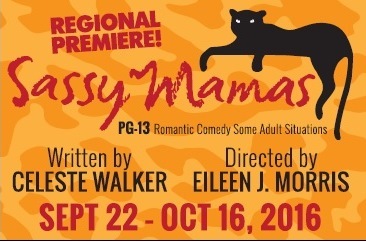 NAACP Image Award-winning playwright Celeste Bedford Walker brings a delicate touch to her depiction of women of a certain age in her romantic comedy, Sassy Mamas. A story about three women-yes, "cougars"-who confidently pursue younger men. These three friends, women of substance and life achievement, each finding herself in a uniquely single situation and decidedly takes a proactive approach to love. The younger men they've set their sights on come with their own unique situations that only add to the humor and antics! Cast members include: Detria Ward, Alice M. Gatling, Michele Harrell, Kedrick Brown, Roc Living, and Steve Scott. Previews: Saturday, September 17, 2016: 8:00 p.m.
Sunday, September 18, 2016: 3:00 p.m.
Wednesday, September 21, 2016: 7:30 p.m.
Saturdays: 2:00 p.m. and 8:00 p.m.
SASSY MAMAS is the story of 3 friends, women of a certain age who confidently pursue younger men. The career-minded Wilhelmina Sorenson played by Detria Ward; the recently widowed Jo Billie Massey played by Alice M. Gatling. Last but not least is the most conservative of the three, Mary Wooten played by Michele Harrell who is going through a difficult divorce. Michele Harrell began her acting career in New York. Michele later relocated to Los Angeles where she appeared in TV, film and theater. She enjoys travel and exploring world cultures. She is a graduate of Brown University, the University of Southern California and Loyola Marymount University. Theresa: Are you originally from Houston? Michele: Yes, born and raised here and when I graduated from High School I went to the East coast and I haven�t really been back since. So it�s been many, many, many, many years. I went to college on the East coast at Brown University. That was a lot of fun. I majored in Dramatic Literature and Theatre. I always knew I wanted to be an actor. But I think I chose the University because it had an open curriculum. Theresa: Were you involved at the Ensemble Theatre before you left Houston? Michele: Unfortunately, this theatre wasn�t here. I had left Houston already before the Ensemble Theatre started. When I was younger, my mother saw an ad in the paper about the Alley Theatre. They were starting a children�s theatre back then. This was so far back it was when the Alley Theatre was on Berry Street. I was charter member of the Children�s Merry-Go-Round at the Alley Theatre. My mother Jean Harrell unfortunately passed away last year. She was my inspiration, she was always into the Arts. She was in education but a great patron of the Arts. When I was young, I took piano lessons and dance. I was at the Alley, so I was exposed to a lot. It was wonderful. Theresa: Who influenced you as an artist? Michele: I had a crazy, wonderful drama coach in high school. Sally Barbay, who in fact suggested that I go to Brown University as opposed to a conservatory. What I like about Sally is that she really stood up for us. We had a one-act play competition. We had a wonderful production, it was fabulous. And then we didn�t get it, they gave it to another school. But she knew that it wasn�t right. So we walked out. Michele: Yeah (laughs). She said, let�s go. Theresa: It was a protest. Michele: Exactly. She taught us that lesson. Stand up for what you believe in. Theresa: How would you describe your theatre experience after you left Houston? Michele: I did a lot of stage plays in New York. After my stint in New York, I relocated to Los Angeles. I did some TV and film. Most of the people in theatre, they usually end up in Los Angeles. Because they realize that even though you love theatre, it�s a passion, you need to also make a living. Michele: I play Mary who is a bit conservative compared to the other two Sassy Mamas. I�m a nice Catholic girl. I devoted my time to my family, my husband. Put everybody before myself, put my aspirations on the back burner. It really is a journey to play this character because even though it�s a comedy and the situations are very funny, I think underneath it all it�s really about self-discovery. It�s really exciting to play the character Mary. Theresa: Isn�t she the one that�s divorced? Michele: Mary is divorced. She�s just received her final papers. It�s like, you know it�s coming but when it does come finally, it�s still a shock. Theresa: which for a nice Catholic girl�..
Michele: Married 30 years, so that�s a lot. Michele: So Mary is thinking, what would a young guy want with her? You know, she�s a woman of a certain age. She feels like, maybe, it�s past her time. Even though her husband has connected with a younger woman. Theresa: How does she happen to meet this younger man? Michele: She loves flowers and plants. And having lived in Africa because her husband is an ambassador, she kind of misses all of those beautiful flowers of Africa. She�s trying to re-create it on her balcony. So she meets this gardener. And they get to know each other. And it�s a lot of fun. Theresa: Oooohhh, tell me more (laughs). Michele: She gets to know him better and better. They kind of have a little bit in common in that they do both love flowers. She�s going through something with her husband and he�s going through something with his girlfriend. He�s kind of a country boy. She�s very upscale, elegant, of a certain socio-economic level. But there�s something about him that�s sweet and innocent. She�s kind of innocent as well. Because she�s basically been with her husband for 30 years. Theresa: How does Mary compare to the other two characters? Michele: Alice M. Gatling who plays Jo Billie Massey is the one grieving her husband. Michele: A widow, exactly. She just kinda goes crazy. So she�s the total opposite of Mary. The other character played by Detria Ward is Wilhelmina Sorenson who is the National Security Advisor for the President. She is more career minded. She hasn�t had time for a man. She�s been focused solely on her career. So, you have the career oriented person. And then you have the one who has a career but has kind of gone crazy because her husband passed away. And then you have Mary who�s the divorcee. Theresa: And then they meet these younger men�. Michele: Yes and then the games begin (laughs)�..
Theresa: How did you become a part of this play? Michele: A friend of mine Alex Morris came here and did a production of Fences. I had done a show with him back in L. A.
Theresa: Yes, I interviewed him when he did a play called Two Old Black Guys Just Sitting around Talking. He is hilarious! Michele: I�ve done a couple of shows with Alex in Los Angeles. My cousin, who sometimes plays in the musicals here at the Ensemble Theatre, invited me to a reading here. When I came, I saw Alex who was directing the reading. And Alex introduced me to Eileen (Morris, Artistic Director of the Ensemble Theatre). Theresa: How do you like working with Eileen? Michele: Eileen is fabulous. This is the first time I�m working with her. I think one thing that�s great about her is that she really allows the actors to discover things themselves. Even though you�re going to what she thinks is the wrong direction, she can pull you back. She says �Go crazy, go wild. And then I can always pull it in.� You know? She just gives you that sense of freedom, so you can create. I love working with her. Theresa: Of all the roles you have played, which one is your favorite? Michele: This one is really funny, it�s fun to play. 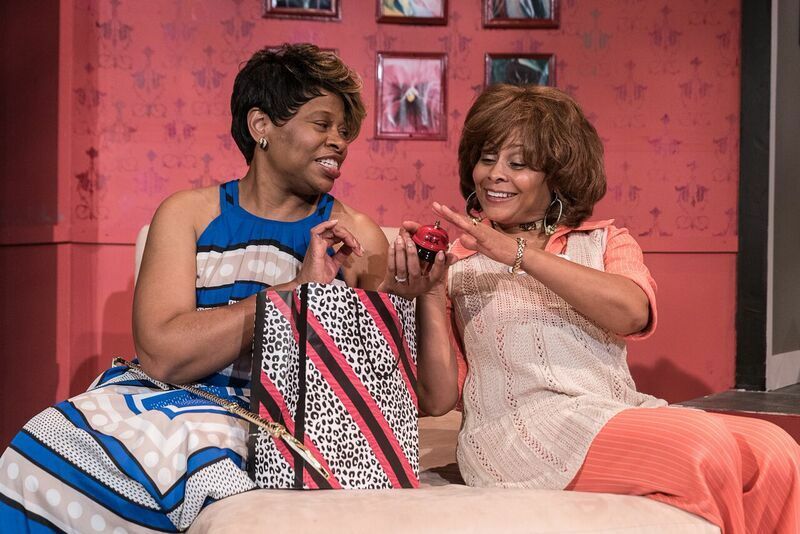 One that I really enjoyed though is playing M�Lynn in a version of Steel Magnolias. M�Lynn is the mother to Shelby played by Sally Fields in the movie. Theresa: Wow. That�s a very emotional role�..
Michele: especially near the end where she breaks down in the salon. Theresa: That had to be emotionally exhausting�. Michele: Yeah, but that�s what an actor does, you know? That was in Los Angeles as well. It was really interesting. Theresa: You knew this was the opening production for the Ensemble Theatre�s 40th Season. Michele: Right, which is so exciting. I mean, just coming back to Houston, getting with this Theatre and it�s also their 40th Anniversary. I�m really appreciative. I�m happy to be in this production. Michele: Sometimes in society, there are stereotypes. For example, older men can date younger women. Nobody really thinks about it. But if you see an older woman with a younger man, people say �Oh, she�s robbing the cradle.� So, you have to decide who you want to be. You have to decide who you want to love. You can�t really worry about what other people are thinking. Because it�s you, it�s your life. And just have some fun! Theresa: It�s okay to date younger men? Michele: It�s okay! Be who you want to be. Don�t let society or your family or other people dictate who you love. It�s really interesting because Mary does want to actually marry a guy who�s more in her circle, so to speak. And after the gardener challenges her, he asks her �What do you want?� You�ll just have to see the play to see how she decides. Theresa: Would you like to add any comments? Michele: I just want everybody to come out. See the play, it is so much fun. You will laugh, you will cry. You will have an enjoyable evening. Bring all of your girlfriends but the guys too. Because there�s something in there for them to learn as well. Theresa: What would you like to say to the Houston Theatre-going audience? Michele: Come out and support! 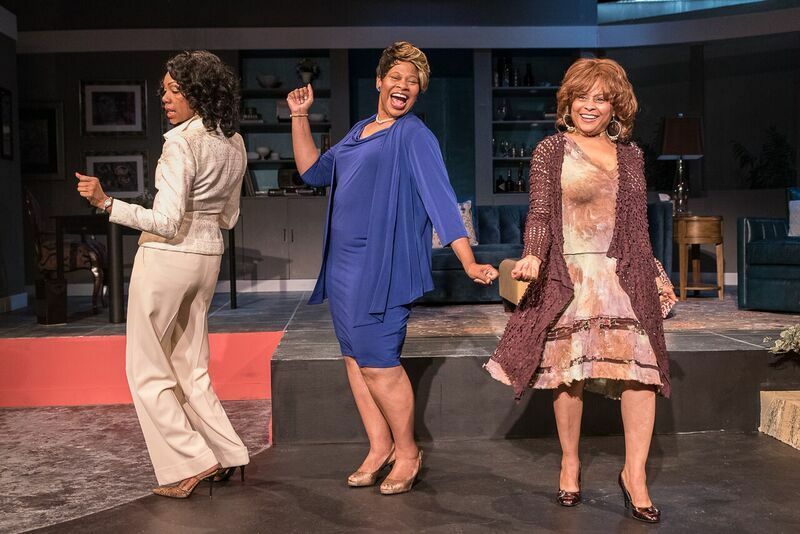 I�m so happy that there�s so much theatre here in Houston now, especially since I�ve been back. We�d love to see you here at the Ensemble. 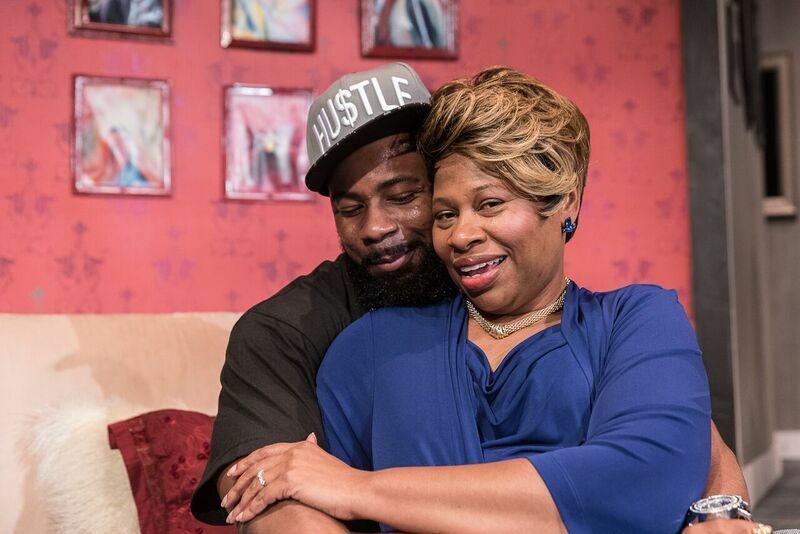 The Ensemble Theatre's 2016-2017 Season is sponsored in part by grants from the City of Houston through the Houston Arts Alliance, Texas Commission on the Arts, and the National Endowment for the Arts. United Airlines is the official airline sponsor for The Ensemble Theatre. The Ensemble Theatre was founded in 1976 by the late George Hawkins to preserve African American artistic expression and to enlighten, entertain, and enrich a diverse community. Thirty-nine years later, the theatre has evolved from a touring company operating from the trunk of Mr. Hawkins� car to being one of Houston�s finest historical cultural institutions. 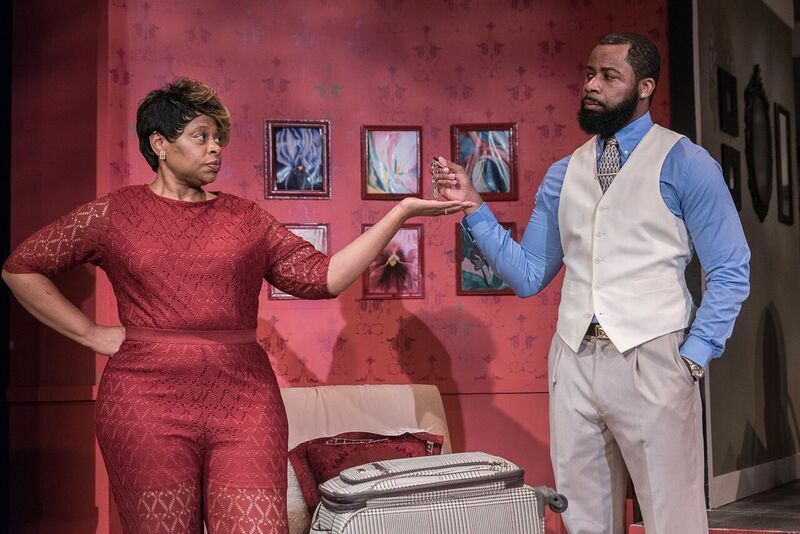 The Ensemble is one of a few professional theatres in the region dedicated to the production of works portraying the African American experience. 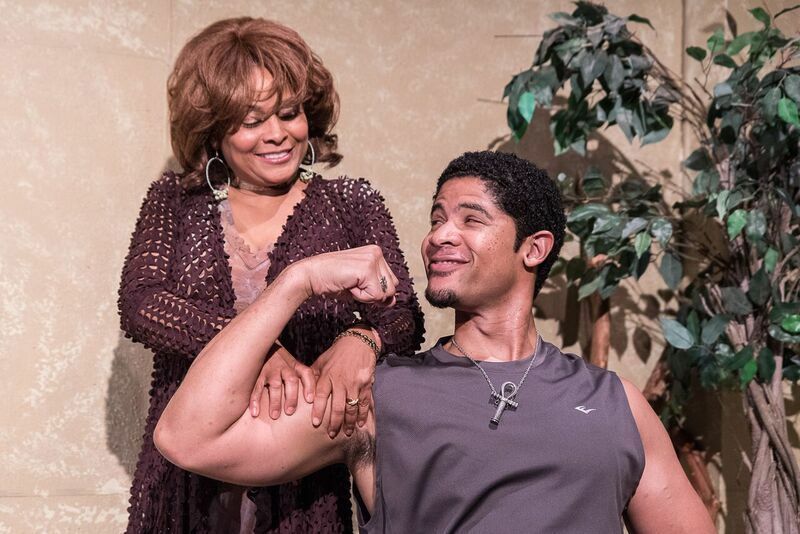 The oldest and largest professional African American theatre in the Southwest, it holds the distinction of being one of the nation�s largest African American theatres owning and operating its facility and producing in-house. Board President Emeritus Audrey Lawson led the capital campaign for The Ensemble�s $4.5 million building renovations that concluded in 1997. 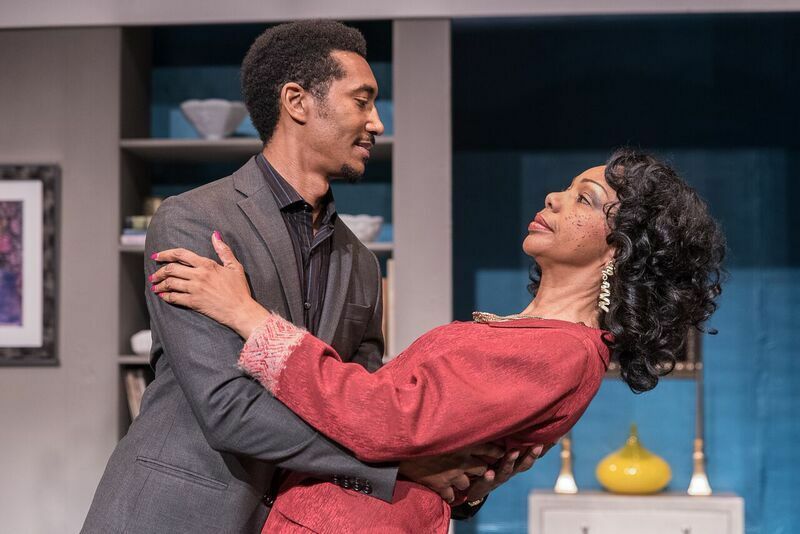 The Ensemble Theatre has fulfilled and surpassed the vision of its founder and continues to expand and create innovative programs to bring African American theatre to myriad audiences.